Delivery of spare parts to the company "Remstroyservis". Kaliningrad, Russia. Delivery of mobile concrete plant Sumab C 15-1200 to the company "Stroykomplekt". Kaliningrad, Russia. Delivery of stationary concrete plant Sumab T-60 to the company Bauteh (Alexander Kushvid, Germany). Delivery of producing House-building factory to the company Zavod ZBI № 8. Delivery of Mobile concrete plant Sumab M-2200 to the company Transmet. Magnitogorsk, Russia. Delivery of Spare parts for PE Ivanov. A.S. Petrozavodsk, Russia. Delivery of mobile block machine Sumab E-12 to Nigeria. Delivery of equipment and spare parts to the company DRSU NGS. Novosibirsk, Russia. Together with partner company Celtnieks delivery of Cement terminal 6000 ton to Tenerife (Canary islands). Delivery of Equipment for cement overloading to Latvian company Buvnieciba SIA. Delivery of stationary block making machine Sumab R-400 full automatic, with concrete batching plant Sumab T-50 to Almaty, Kazahstan, company «INTEX STEEL». For production of concrete for the block machine and ready-mixed concrete. 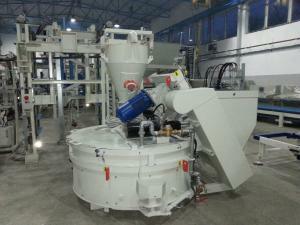 Stationary block making machine Sumab U-1000 to Russia, Sterlitamak. Company "Gazobeton". Mobile concrete plant Sumab K-60, to Moscow, Russia. Company "Spetsmontagstroy". Mobile concrete plant Sumab K-60, Morocco, company "MTD Holding". Delivery of mobile concrete plant SUMAB MINI to the Lithuanian company Gambrita.